is the Hamid & Christina Moghadam Director of Iranian Studies at Stanford University and a Professor (by courtesy) in the Division of Stanford Global Studies. He has been one of the founding co-directors of the Iran Democracy Project and a research fellow at the Hoover Institution. His expertise is U.S.-Iran relations as well as Iranian cultural, political, and security issues. 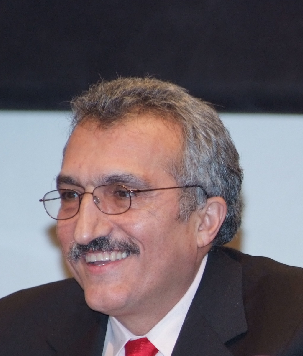 Till 1986, he taught at Tehran University’s Faculty of Law and Political Science, where he was also a member of the Board of Directors of the university’s Center for International Relations. After moving to the United States, he was for fourteen years the Chair of the Political Science Department at the Notre Dame de Namur University. For eight years, he was a visiting Research Fellow in University of California, Berkeley’s Middle East Center.